A nautical restoration job for the ages reached a milestone Sunday with the launch of the 1841 whaleship Charles W. Morgan at Mystic Seaport in Connecticut. 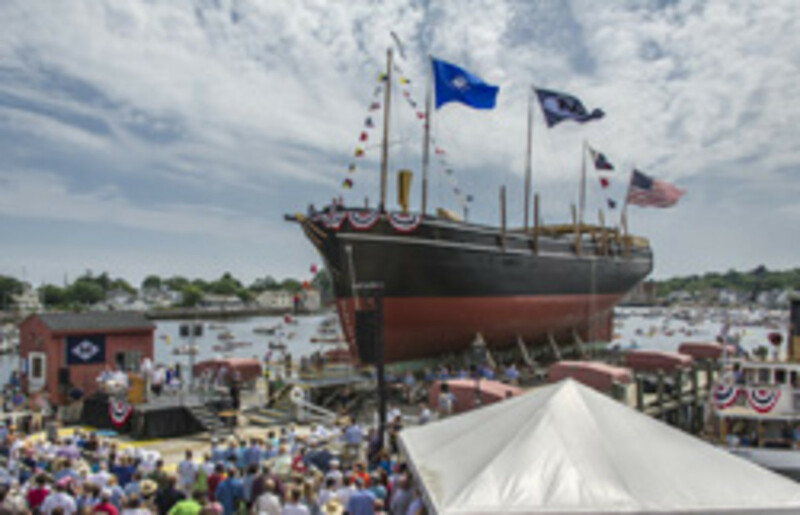 After a nearly five-year restoration in the Henry B. duPont Preservation Shipyard in southeastern Connecticut, the national historic landmark and America’s oldest commercial vessel was carefully lowered into the Mystic River in a public ceremony to float on her own bottom for the first time since 2008. The ship was christened by Sarah Bullard, the great-great-great granddaughter of Charles Waln Morgan, one of the original owners of the ship and the man after which she was named. Describing the ship as “an ambassador from a crucial moment in American history,” filmmaker Ric Burns said in his keynote address, “This one ship has embodied, made possible, made real and brought alive the experience of whaling as no other single artifact on the planet." The restoration of the ship began when she was hauled out of the water in November 2008. The focus of the project was to address the hull below the waterline, the majority of which dated from the ship’s original construction. The final phase, which begins now, will involve rigging, restoring her interior and installing temporary systems necessary to take her back to sea in late May 2014. After a period of fitting out and sea trials based in New London, Conn., the ship will sail to Newport, R.I., and Vineyard Haven, New Bedford and Boston in Massachusetts. She will also venture onto the Stellwagen Bank National Marine Sanctuary in partnership with the National Oceanic and Atmospheric Administration and she will participate in the centennial celebration of the opening of the Cape Cod Canal.